ColaLife: Simon Berry is trying to make medicine as ubiquitous as Coca-Cola in rural Africa. Simon Berry hopes ColaLife can help stop unnecessary deaths from dehydration. 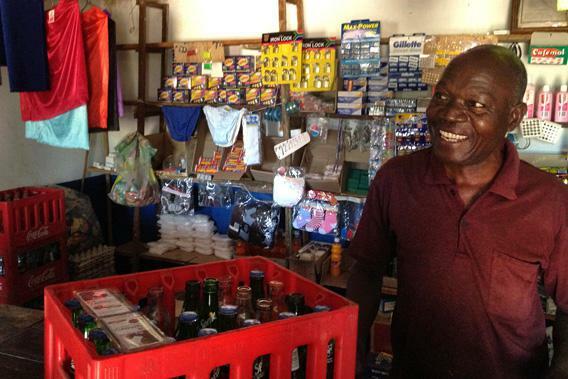 A Kit Yamoyo retailer in Katete, Zambia, who sells the anti-diarrheal kit to mothers. “Lot’s of satisfied customers,” he noted. To get vital medicines to children in need throughout Zambia, entrepreneur Simon Berry started taking cues from Coca-Cola. How did you get the idea for ColaLife? I was working in a remote part of Zambia and I could always get a Coca-Cola but, at the same time, 1 in 5 children didn’t make it to their fifth birthday because there weren’t medicines for them. After respiratory disease, the second biggest killer was dehydration—from diarrhea—which can be stopped with oral rehydration salts (ORS) and zinc. Both are very stable at normal temperatures, as is Coca-Cola, so in principle they can go through the same supply chain. Mother showing the Kit Yamoyo she used to treat her daughter. How did you go from that realization to a fully-fledged business plan? I put the bare bones of my idea on Facebook. Soon thousands of people were egging us on, so in 2011 my wife and I gave up our day jobs to dedicate a year to get it going. 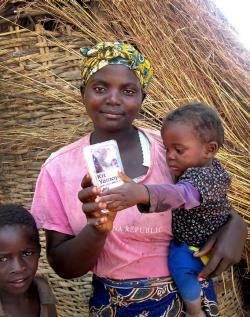 Then, last year, we began a trial with 2,500 households. We designed the Kit Yamoyo, or “kit of life.” It is a plastic container designed to fit between bottles in drinks crates. Each kit has ORS sachets and zinc tablets. The container is also a water measurer to make the ORS solution, and a cup from which a child can drink the rehydration solution. How did you come up with the kit design? We went out and asked people what their problems were in treating diarrhea. I don’t think anyone had ever done that before; the kits are designed not for poor people, but with them. Some NGOs sit in their ivory towers thinking they are doing good, but how many of them give people the dignity of attention and choice? Is delivering the kits in drinks crates working? In the end, hardly any of our kits have been put into crates. Instead, what has worked is copying Coca-Cola’s business techniques: create a desirable product, market it like mad, and put the product in a distribution system at a price so that everyone can make a profit. If there is demand and retailers can make a profit, then they will do anything to meet that demand. But aren’t the people you are trying to help some of the poorest in the world? Our kits don’t cost a lot of money: about 60 pence, or the price of five bananas. People can find the odd bit of cash if they need it. As it is, children get sick and parents have to find money to get them to the health centre, but when they arrive there are often no medicines. Has the trial saved children’s lives? We have gone from a standing start—essentially zero use of ORS and zinc—to about 40 percent of the test population using our kits. We reckon we have saved about 60 lives in six months. Now we are looking to scale up. There is a lot of interest from the private sector. I think there is huge potential for the ColaLife concept in public health. You could imagine a “tough toddlers kit” containing vitamins, nutritional supplements and deworming tablets. A parent could buy it for their child’s third birthday.